Mastering the disciplined techniques of printmaking while allowing space for freedom and spontaneity, Mimi Robson is producing finely balanced pieces that portray the unsettled natural world and its reflections within us, the viewer. Originally from Somerset, Mimi trained at the university of Falmouth in Fine Art, specialising in etching and mono printing. The influences of Cornwall and its restless landscapes are clear to see in her current work, especially in her series Several clouds colliding. Within the collection there is a tactility on show that runs through all of the artist's prints, and a sense of movement that succeeds in harnessing the unpredictable and volatile Cornish seas. 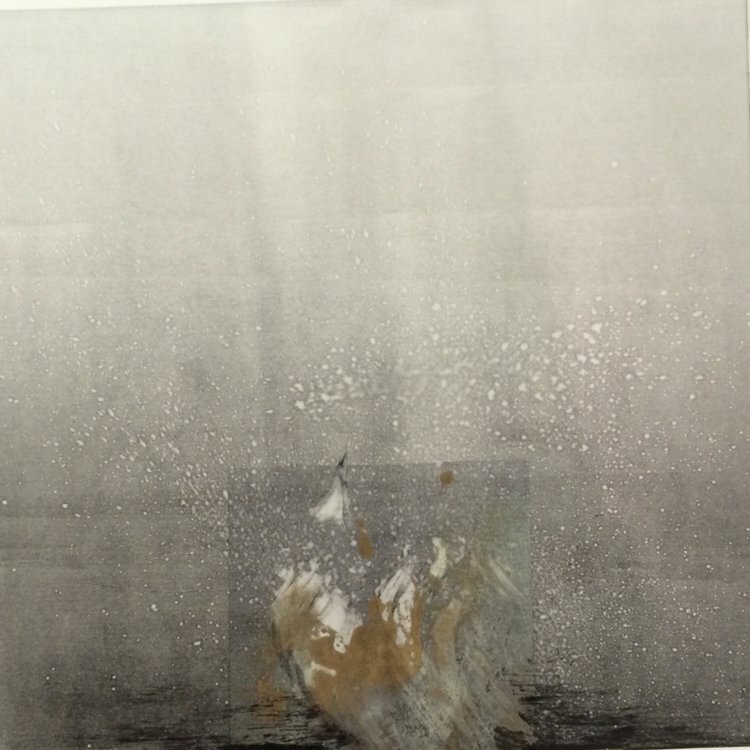 The following images are from within the Several cloud colliding, a set of six mono prints with chinecole. In her collections Mimi has explored a variety of ideas, all in a unified theme of self-reflection within nature, and its changing states. In Haptic we see a capturing of moments that make it possible to comprehend vast spaces; a flash of lightning, a murmur of wind, a breaking wave. She succeeds in pulling the viewer into this space, without the theme being overt or depicted too literally, a success echoed throughout her whole body of work. The two images below are from the Haptic collection, from a set of four mono prints entitled Clouds gather below cliffs. The inspiration behind Mimi's distinctive set Waiting, on a sandbank comes as a response to ancient Buddhist poetry, centuries old and concerned with time, existence and being. Printed on Somerset Satin, the collection of six mono prints combine this theme seamlessly within the context of the ocean and nature. 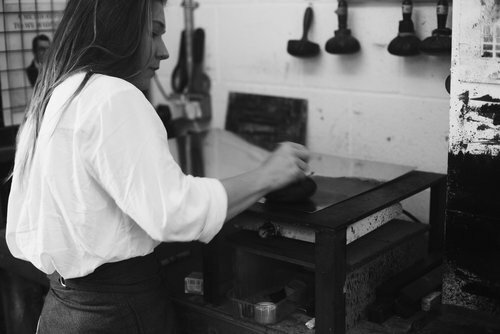 Here at Ditto we've loved discovering Mimi Robson's work – especially how it combines creative inspiration with true discipline and execution within the printmaking craft. We can't wait to see her body of work develop and grow over time.